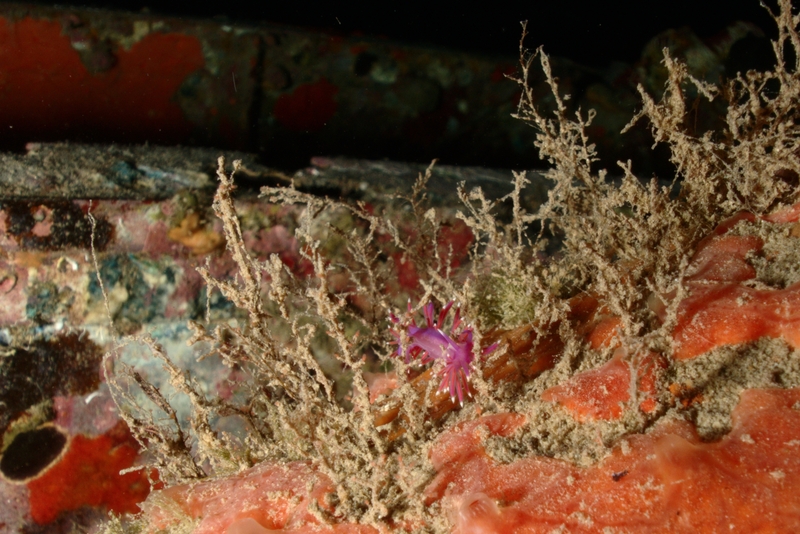 Not quite in focus, but owing to its small size, this Flabellina affinis may be forgiven its sin. I really must find a rigging solution for a macro lens! This on some detritus of the Bristol Beaufighter. This work is licensed under a Creative Commons Attribution-ShareAlike 4.0 International License. Please attribute Kristaps, the photographer, with a link to kristaps.bsd.lv/photo0074.html.